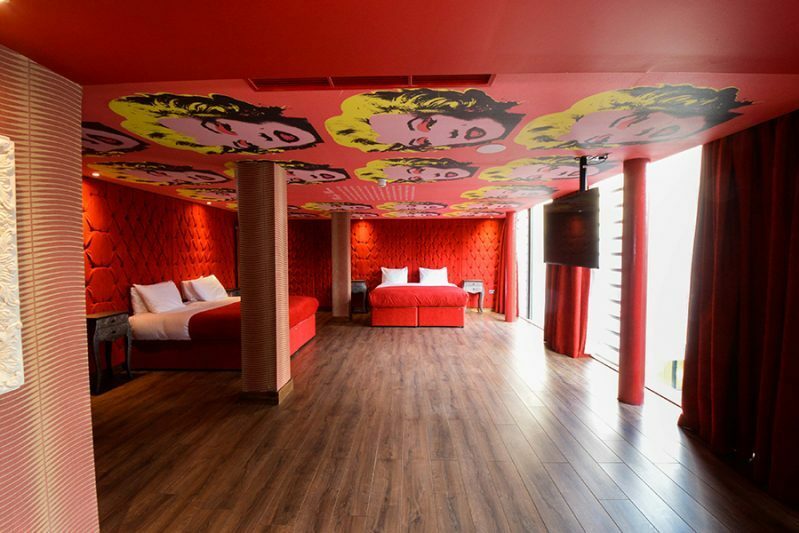 Echoing the glamour and effervescence of Marilyn Monroe, this spectacular room will transport you into the colourful world of Andy Warhol. Warhol’s silkscreen painting the Marilyn Diptych is one of his most infamous works. 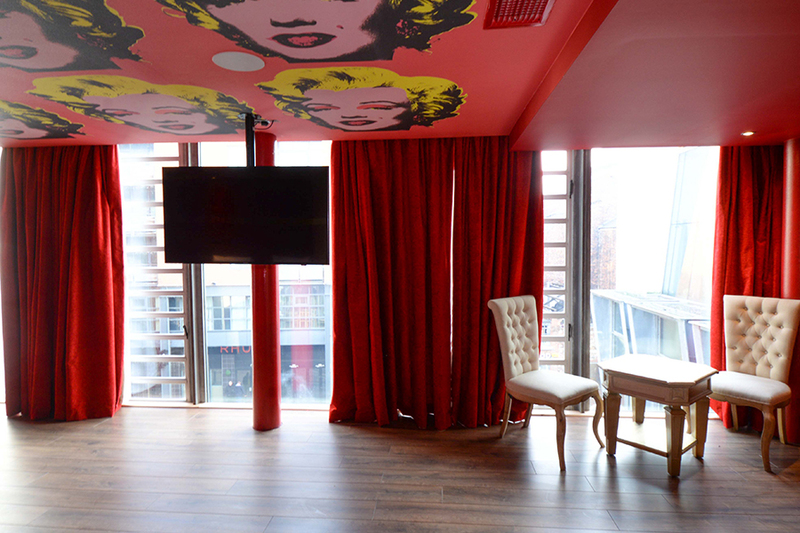 The Marilyn Monroe room captures Warhol’s artistic vision, bringing you a stylish stay in the heart of Liverpool. Perfect for photographing your very own Marilyn moment! 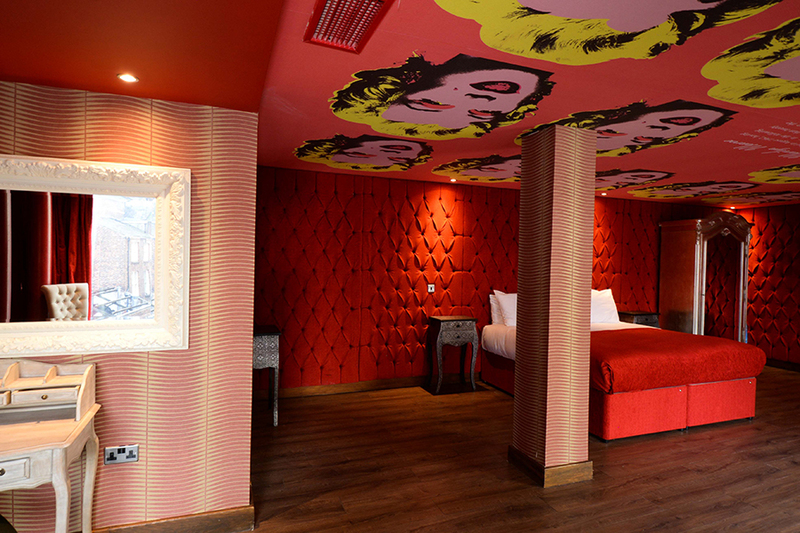 Arthouse Hotel is located only moments away from Liverpool’s dynamic nightlife, with the city’s leading bars and clubs right on your doorstep. 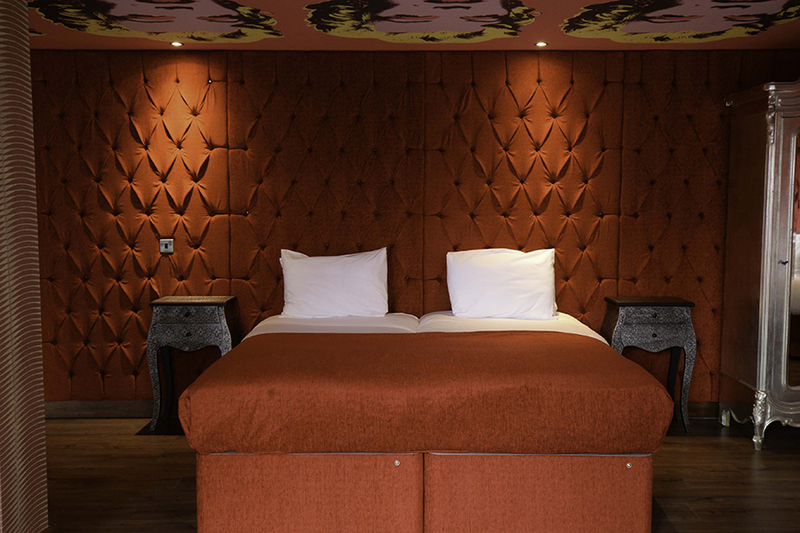 Specialising in group accommodation in Liverpool, this room sleeps up to 4 guests without compromising on quality and style. You can get ready with your nearest and dearest before hitting the town. And for guests planning to see the best sights in Liverpool, you’ll discover Liverpool’s most famous landmarks within short walking distance from the hotel. The Marilyn Diptych was completed in 1962 by iconic pop artist Andy Warhol. Named the third most influential piece of modern art in The Guardian, Warhol’s captivating piece is owned by the Tate. Following Marilyn’s death in 1962, Warhol began a four month artistic journey, creating over twenty silkscreen paintings of the engaging American star. Warhol’s creation was based on one publicity photograph of Marilyn, taken for the film Niagara (1953). Marilyn Monroe was a household name of interest, gossip and admiration when Warhol created Marilyn Diptych, so it’s no surprise that the colourful piece of art was so well received. Academic and cultural critic Camille Paglia praised Warhol’s work, applauding how the piece showcases the “multiplicity of meanings” in Monroe’s life. One of history’s most iconic ladies, Marilyn Monroe is a face recognised across the globe. The blonde bombshell starred in classics including Gentlemen Prefer Blondes (1953) and How to Marry a Millionaire (1953). But the glitz and glamour that enthralled the public was merely the surface layer of Marilyn. Behind the bright lights, the enchanting actress was a compassionate and headstrong philanthropist. An active advocate of the Civil Rights Movement and dedicated to charity work, Ella Fitzgerald has described Marilyn as “an unusual woman – a little ahead of her times. And she didn’t know it”. While Marilyn’s popularity was astounding throughout the 1950s, it’s her legacy that people continue to find so fascinating. Putting her level of influence into perspective, it’s suggested this level of popularity has only been reached by a few other pop culture icons, including Elvis Presley and Mickey Mouse. Marilyn related products are still best sellers, from books and artwork to home décor accessories. A timeless beauty and cultural icon, Marilyn’s fanbase and widespread recognition certainly hasn’t faded. Born Andrew Warhola, Andy Warhol was a pioneer for pop art, the visual art movement that emerged in Britain during the mid-1950s. In stark contrast to fine art, pop art pushed the boundaries by incorporating pop culture imagery. The exciting shift in art could resonate with the masses, cultivating fresh interest by infusing public obsession with celebrity culture. Warhol’s most successful works certainly includes Marilyn Diptych, alongside Campbell’s Soup Cans and Chelsea Girls. Dynamic and daring, Warhol’s studio The Factory was a favourite spot for gatherings. The New York City space was loved by people from all walks of life. Attendees included distinguished intellectuals, Hollywood celebrities, playwrights, Bohemian street people and drag queens.